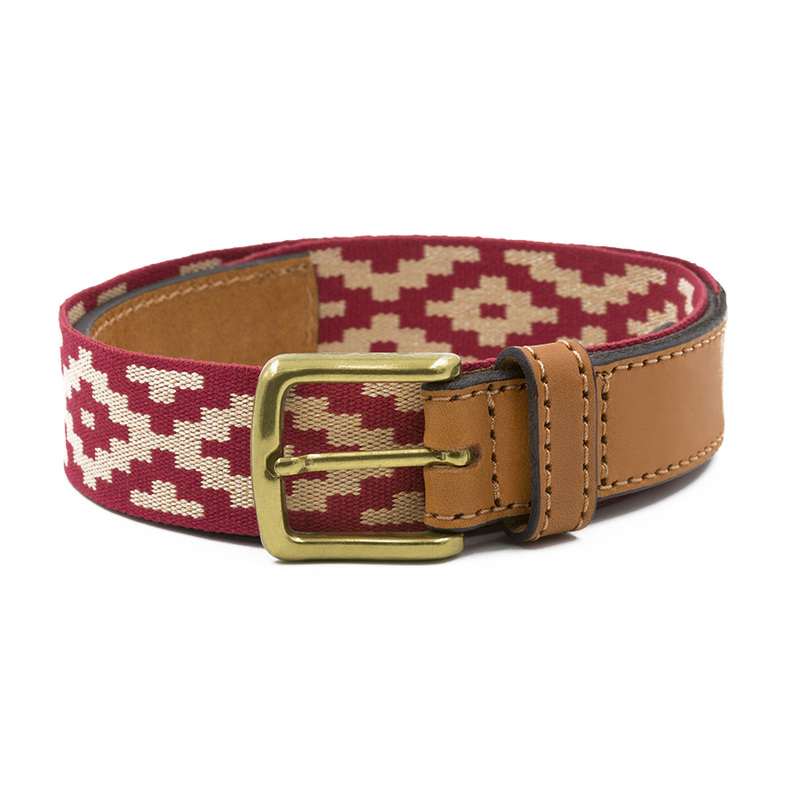 Woven band colors: Beige, red. Light Brown taurillon leather from the Pampa. 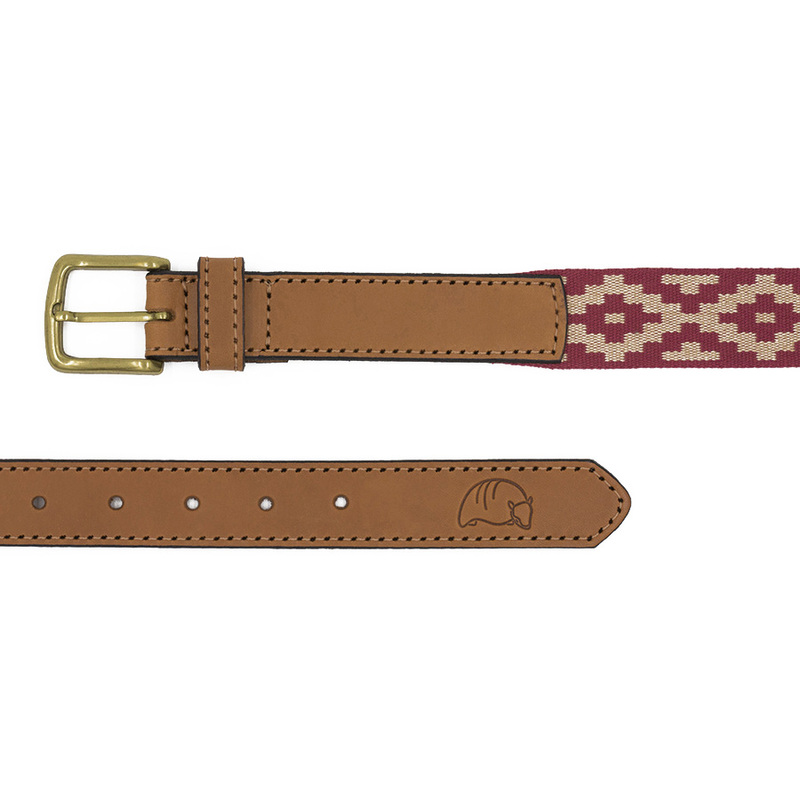 The “Pampa belts” are made with a woven cotton band with geometric patterns typical of the indians and of the gauchos of the differents argentinians regions. Both extremes are made of leather.